Season of Mist has sort of transcended to a next level in the past few years, but in some ways it's because their artists have evolved with them. 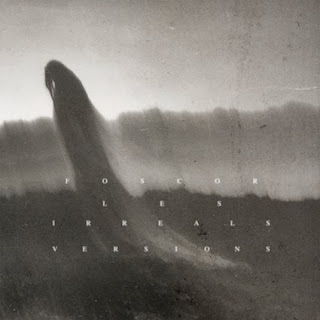 Foscor is the perfect example of this, a band who started out as a black metal act before evovling into the transcendent shoegaze that they are now there is something wholly pure and mesmerizing about what the band does. Their understanding of songwriting and beautiful soundscapes is powerful. This is the sort of record you get lost navigating and which reminds you time and time again what this scene can create when allowed to flourish. Foscor on this record are pushing a new type of songwriting, for them at least. While they don't go in for Alcest's bombast or Solstafirs sheer prettiness they have refined something that is wholly their own. On the way this has become perhaps their least metal album to date. In some ways the Pink Floyd love is clear, at other times the delicate and searing chords are almost reminiscent of Godspeed! You Black Emperor. The bands ability to command a vibe, even with fairly limited musical elements is really exciting and hints at everything that Foscor can be, and, at this point, are. It's a fascinating record to listen too as it unfolds. Les Irreals Versions is a wonderful example of a band not just pushing their songwriting prowess to a bold new height but also of a band who seem capable of crossing into a sort of angelic new level. Foscor thrive on a sound that, despite its overall beauty contains a weird inner blasphemy. There is a sense of darkness deep within the multilayered production that makes this record all the more valuable. As one track ends and you wait for the next track to begin, in that moment of blissful silence you can't help but to feel excited for what's about to unfold. If that's not the sign of a great record I don't know what is.